Anti-Sikh Riots of 1984 - It is indeed a matter of lament that there has been no meaningful thought spared till date to usher in reforms in the judicial process to effectively deal with the cases of communal riots which are engineered, more often than not, by those who have clout or influence– of various kind. A copy of this judgment shall be sent by the registry also to Secretary (Law, Justice and Legislative Affairs), Government of India and to the Secretary, Law Commission of India, for their respective consideration. There is no contest to the case for prosecution that the crimes alleged here were actually committed. Thirty four long years have passed after the crimes were committed and, yet, the victims await justice and closure. Is this what we call a potent and effective criminal justice system? Is our judicial apparatus at all equipped to deal with the crimes of such magnitude? Do we have lessons to be learnt from this sordid experiment in the name of criminal law process? It is indeed a matter of lament that there has been no meaningful thought spared till date to usher in reforms in the judicial process to effectively deal with the cases of communal riots which are engineered, more often than not, by those who have clout or influence– of various kind. The manner of prosecution of the case at hand would undoubtedly go-down in judicial history of this country as an example of criminal law process that must never be emulated. From this perspective, and in the expectation that those at the helm draw lessons from here, one hopes that this case is never forgotten. (i) Suitable amendments (with necessary subordinate legislation) to the Commissions of Inquiry Act, 1952 and the Protection of Human Rights Act, 1993 may be considered to entrust the responsibility of taking note of the cognizable offences committed in communal riots and for investigation in accordance with law thereinto may be through SITs specially constituted under their respective control with further responsibility to oversee the prosecution in the wake of such investigation through Special Public Prosecutor(s) (SPP) to be engaged by them. (ii) Though the Commissions referred to above would have their own investigative machinery to carry out the necessary probe in an effective manner, they might need to avail of the assistance of Legal Service Authority (LSA) for reaching out to the victims (or witnesses), and for instilling a sense of trust and confidence, coupled with such witness-protection measures as may be deemed proper for the given situation, and also of the judicial magistracy for mandatory recording of statements of such victims, or witnesses, under Section 164 Cr.P.C. at the earliest inasmuch as provisions for this would make the effort more comprehensive and effective. (iii). The neutral agency of the Commissions, entrusted with the added responsibility of taking such case(s) to prosecution would ensure that no charge-sheet is brought to the criminal court for taking of cognizance, or trial, unless it has been properly vetted dispassionately by those well-trained in criminal law such that it is free from any defect, inadvertent or otherwise. (iv). The law on the subject of communal riots cannot be a complete answer to the challenge unless it also establishes special courts with suitable amendments to the general criminal law procedure as indeed the rules of evidence. (v). Given the technological advancements that have been made and the rise of media – print and electronic – as an effective fourth pillar of the democracy, there is a strong case for utilizing as evidence the press reports, supported by photographic material or video footages put in public domain in trials of criminal cases arising out of communal riots. Such material or video coverage are generally seen to be depicting the specific role of various individuals who form part of the riotous assembly as indeed those leading or provoking such mobs. Time has come for availing of the same, may be in corroboration of oral evidence, in criminal trial process. For this, the law must mandatorily require media persons or houses to share the product of their efforts with the investigating agency in all cases of communal riots, it being also their bounden duty thereafter to prove such material at the trial. (vi). As has been highlighted in this judgment, frequent absences from the court hearings on the part of accused persons has been one of the major causes for delay in the judicial process. There is no reason why general law of criminal trial being held in the presence of the accused be permitted to be abused. For purposes of trial, particularly at the stage of recording of evidence, in cases under Prevention of Corruption Act, 1988, there is an exception carved out by Section 22(c) which permits such witnesses as are in attendance to be examined even if the accused is absent subject, of course, to his right to seek recall for cross-examination once he re-appears. Similar rule of procedure in cases of trial in communal cases involving large number of accused would have a salutary effect. 1. That the criminal justice administration may falter or crumble, or lose its potency, is no longer a distant doomsday scenario. It appears to have arrived and stares at us in the face. The question as to whether the guilt of the appellants for complicity in rioting and mischief by fire was correctly concluded or not has come up for determination thirty-four years after the crimes were committed and twenty-two years after the trial court had rendered its decision. The whole exercise is reduced to the level of academic. 2. On 31.10.1984, Mrs. Indira Gandhi, the then Prime Minister of India, was assassinated by her bodyguards. Riots broke out on the same day in the capital city of Delhi and other parts of the country which, in no time, turned communal, they being directed against the Sikh community. Carnage followed for several days in which thousands suffered physical harm or damage to the property. A large number perished. Semblance of law and order returned, albeit after several days, in the wake of the armed forces being called in aid of the civil administration. 3. The failure of the police, and the civil authorities, in controlling the situation, or meeting the challenge, by enforcing the law has been chronicled not only in the media reports but also found to be a fact in decisions of the courts of law, in various cases brought at almost each level of the judicial hierarchy, as indeed recorded in the reports of numerous Commissions of inquiry or Committees that were set up in the decades that have followed. The circumstances that prevailed during riots are the harsh reality of which judicial notice may be taken. 4. The anti-Sikh riots of 1984 are indeed a dark chapter in the history of independent India which, it is often said, this country must put behind so as to move ahead. But, for those who suffered personal loss in the form of killings of their near and dear ones, or destruction of their homes, there possibly can never be a closure. The theories of politico - criminal nexus, aided and assisted by police or civil service officials loyal to the cause, being behind the mayhem that was wrecked, virtually with impunity or immunity, continue to abound and haunt. There is also a contrarian view that such dark chapters in the history of the land must never get effaced from memory since they confront us, the civil society at large, by showing a mirror, to expose to us the rot that lies within. 5. The communal riots of the likes of 1984 have been erupting time and again, as a scourge, in free India, starting with the partition riots of 1947, more often than not, fanned by socio-political leadership. Many such communal riots have preceded, or followed, those of 1984, each leaving behind numerous cases of mass murders, arson, loot, plunder, et al. In the present context, the court is not concerned with what were the causes for failure of administration or of law and order or, to go further, what reforms are required to ensure that such break-down of administrative machinery, or rule of law, does not recur. The court is concerned more with the enforcement of criminal law in the wake of such serious crimes as were committed in the name of protests taking the ugly shape of communal riots. 6. These twenty-three criminal appeals arise out of the decision of a court of Sessions in a case (sessions case 34/95) relating to rioting accompanied by commission of serious offences in the afternoon of 02.11.1984 in Block no.32 of a locality known as Trilok Puri, within the territorial jurisdiction of police station Kalyan Puri, Delhi, it being subject matter of investigation through first information report (FIR) no.426/1984 of the said police station. This case is one of the several cases that were registered around that period, the grievances of the victim community, and the civil society at large, consistently being that there was utter failure on the part of the police in not only controlling the situation but also in bringing the perpetrators of the crimes to justice. Allegations have been made generally and with reference to various other cases registered during the said period, they also being echoed in the context of the present case, that the police officials entrusted with the responsibility of taking note of the crimes or for follow-up action under the criminal law, instead of discharging their obligations, turned their gaze the other way or made endeavour to ensure that those guilty could either escape or even if brought to trial, could avoid their guilt being proved. 7. Having heard the defence, and the prosecution, in these appeals and having subjected the trial court record to acute scrutiny, this court finds the grievance as to apathy on the part of agencies connected to the criminal law towards such cases to be correct and well founded. In the considered view of this court, it is not only the police that failed in not (promptly) registering the crimes or collecting all possible or requisite evidence (before it was lost forever) but the other agencies including prosecution, and the court, that also failed to rise to the occasion or live up to the task. 8. As would be noticed in the later part of this judgment, the manner in which the case was handled, or lingered, at the stage of committal proceedings before the Magistrate, was designed to ensure the case would not proceed with the promptitude it deserved. The case resulting from the first final report under Section 173 of the Code of Criminal Procedure, 1973 (“the charge-sheet”) which was placed before the court of the Metropolitan Magistrate (on 20.12.1985), followed by several supplementary reports, saw the committal order being passed only on 18.04.1987. The court of Sessions where the case was allocated had doubts as to the permissibility of joint trial of one hundred and seven (107) persons who had been brought before it under the umbrella of one case. It passed certain orders requiring the cases to be split up. The supplementary charge-sheets in the wake of such directions followed, with no-one interested in expedition. Eventually, the case was put to trial by order dated 04.12.1995 framing charge against ninety three (93) accused whose presence had been secured, this being followed by a similar subsequent order respecting one more who was compelled to appear with great difficulty. 9. There is abundant material available on record that a number of neighbourhoods, within the territorial jurisdiction of police station Kalyan Puri were on the boil, communal riots having broken out right from 31.10.1984 onwards, certain pockets of locality known as Trilok Puri being the worst affected. As has been explained in the evidence, and at the hearing, Trilok Puri was divided in several parts known as Blocks, each a congested sub-locality with houses built on small plots of land, the Sikh community being substantial in number as the local residents which, of course, also included people following other faiths. There is substantive evidence brought on record, and which is not disputed, that riotous mobs were moving, from Block to Block, targeting Sikhs or their properties, the worst affected areas being Block nos.21,30, 32, 33 and 36, they being closely located and connected by narrow by-lanes or roads, the case at hand having been restricted to what happened in block no.32 and around. 10. Four cases (FIRs) were registered by the police, one after the other in police station Kalyan Puri around the period in question facts concerning which are part of the material which the trial Judge took on board, they being FIR no.423/1984, registered at 2.30 p.m. on 01.11.1984 at the instance of Inspector Shoorvir Singh Tyagi (PW-7), the then Station House Officer (SHO) of police station Kalyan Puri; FIR no.424/1984, registered at 3.20 p.m. on 01.11.1984, at the instance of SI Roshan Lal (not examined); FIR no.425/1984, registered at 8.45 p.m. on 02.11.1984, at the instance of Mr. R.D. Malhotra (not examined), Assistant Commissioner of Police (ACP) of the sub-division; and FIR no.426/1984 – from which the present case arises – registered at 15:00 hours on 03.11.1984, on the basis of rukka of SI Manphool Singh (PW-8), it, in turn, being based on the statement of Rijju Singh (PW 2). 11. In FIR no.423/1984, the then SHO had recorded that offences under Sections 147, 148, 149, 426, 436 of Indian Penal Code, 1860 (IPC) had been, or were being, committed in the area under his jurisdiction, the same having come to his notice during patrolling, assisted by other police officials including SI Manphool Singh (PW-8) and HC Pat Ram (PW-5) in the areas of Block no.4, 5, 27, 34, 32 and 36, the aggressive crowd having indulged in stone pelting, arson and physical assaults against persons belonging to the Sikh community, moving from one place to the other, the riotous mobs having swelled even though police officials, at the instance of the SHO, had fired in the air to bring it under control. 12. In FIR no.424/1984, its first informant SI Roshan Lal recorded offences punishable under Sections 147, 148, 149 and 436 IPC having been committed, the same having come to his notice when he had gone for patrolling duty, accompanied by two constables, to Block no.11 where a large crowd had gathered, the said police team having been joined by other police officials, already present at the scene, and they having witnessed two groups being pitted against each other, one formed by persons from Sikh community having gone to the rooftops of their houses to start firing with their guns at the other group, the mob not dispersing and instead indulging in arson, beatings or damaging the property, the firing by the police officials forcing the mob to flee away to Block no.13, the police officials having made seizures of fire-arms, ammunition, explosive material etc. and taking certain persons (mostly Sikhs) into custody. 13. The third case FIR no.425/1984 was registered at the instance of the ACP of the sub-division on the basis of input received from an army officer (a Lieutenant Colonel) from Darya Ganj about the riotous situation in Block no.34 and he (ACP) consequently having visited the place under direction of the Deputy Commissioner of Police (DCP) to find a large number of houses of Sikhs, and their inhabitants, having come under attack overnight, such houses having been burnt and a large number of people killed. In this FIR, input received from a motorcycle rider Munshi Ram about such incidents and the local inhabitants being in need of protection by additional force to be rushed in having been conveyed to Assistant Sub Inspector Jugti Ram, Duty Officer with no action taken in its wake, was also mentioned. The FIR also recorded that the SHO (PW-7) had failed to make any arrangement for protection of life or property of the local residents or to inform his superiors or to register the cases and consequently he (the SHO), motorcycle rider (Munshi Ram) and SI Jugti Ram having committed offences punishable under Sections 217 and 211 IPC and Section 60 of Delhi Police Act,1978. 14. The last in the series of the aforementioned cases would be the FIR no.426/1984, the rukka (Ex. PW8/A-B) and the testimony of its author Manphool Singh (PW-8) indicating that the action was initiated on the basis of daily diary entry (DD) no.12A recorded at 5:45 PM based on a wireless message received from police control room (PCR) about violence (“Maar Kat”) in Block nos.1 to 10. PW-8 statedly was on some official duty in Jai Prakash Narain Hospital (JPN Hospital) in connection with death of a riot victim. According to him, he had returned to the police station at about 5.45 p.m. on 02.11.1984 when he was deputed to go to Block no.32. Upon arrival, he saw several houses of block nos.30 and 32 afire. The police force which was present at the scene made the rioters who were present move away. According to his version, the rioters were surrounded in back-lane and 107 persons were apprehended, Rijju Singh (PW2) having been examined, his statement forming the basis of the FIR. The FIR was registered for investigation into offences that had been committed, they being allegedly punishable under Sections 147, 148, 149, 427, 436, 304 IPC. 15. The initial investigation had resulted in two charge-sheets being prepared by the SHO of police station Kalyan Puri on 28.08.1985 which were forwarded to the court of the Metropolitan Magistrate on 03.12.1985. The case for the prosecution, as culled out from the said charge-sheets, may be noted at this stage. It was stated that on 02.11.1984, on receipt of information from the PCR, recorded vide DD entry no.12A, regarding violence occurring in Block no.32, Trilok Puri, SI Manphool Singh (PW-8) accompanied by Constable Pat Ram (PW-5) set out and reached the place of occurrence (Block No.32), they being joined by the then SHO Inspector Shoorvir Singh Tyagi (PW-7) and other police staff. They found a number of houses in Block no.30 and 32 having been set on fire, specific note being made of house nos.123, 124, 484 and 485 of Block no.32. PCR van also reached there in which two victims named Sucha Singh and Lakha Singh were sent to hospital for medical treatment. Senior police officers also reached the scene and with the assistance of reinforcements that had arrived, one hundred and seven (107) rioters were apprehended. The victims, particularly women and children, were sent to the police station by official vehicle. Rijju Singh (PW-2), one of the victims, also rescued from the place, was examined and on the basis of his version, FIR no.426/1984 was registered, the prevailing circumstances also having been taken note of. The same, as per the initial inputs, included those punishable under Sections 147, 148, 149, 436, 427, 304, 323 IPC. 16. As per the FIR, PW-2 Rijju Singh (the first informant) was resident of house no.124 of Block no.32, Trilok puri. He would earn his livelihood through a small general merchant shop from a temporary shed. According to him, there were about 300 houses of persons from Sikh community in Block nos.30, 32 and 34. At about 2.00 pm, on 01.11.1984, after the assassination of the Prime Minister on the previous date, thousands of people had gathered near Gurudwara, Block no.36, the said mob having moved and indulging in violence towards Block no.32 and started threatening the Sikh community accusing them of being responsible for the assassination. This led to a tense situation prevailing. On 02.11.1984, a mob comprising of thousands of persons had again gathered from 03.30 p.m. onwards. They had set the houses of Sikhs on fire using kerosene oil, damaging the property by using brick-bats, indulging in physical assaults on the persons, a large number having been killed and put into fire. Rijju Singh stated that he did not know any of the mobsters and had somehow run away to safety to save himself, his wife Gian Devi, aged 35 years, and four children including two sons named Jeet Singh, aged 18 years and Dileep Singh, aged about 10/11 years, besides two daughters named Pinki and Gati Devi aged about nine and seven years respectively having gone missing. He also informed that in the riots, his brother-in-law, Lakha Singh had also been killed. He stated that besides those who had been apprehended by the police, he would be able to identify some of the rioters if shown to him. 17. During the course of investigation that followed after registration of FIR no.426/1984, a large number of dead bodies in burnt condition were gathered from the streets or houses in Block nos.30 and 32 and arrangement made for post-mortem examination. The charge-sheet would state that the scenes of incident in Block nos.21, 30, 31, 32 and 36 were got photographed, certain other victims having came up with their versions and their statements being recorded, they including Bachu Sigh, Sadhu Singh and Gurcharan Singh. 18. The charge-sheet would further state that on the objection of the prosecution branch, two separate charge-sheets were prepared pertaining to the events of 01.11.1984 and 02.11.1984. The challan no.1 pertained to the events of 02.11.1984 and was based primarily on the statements of aforementioned three witnesses, namely Bachu Singh, Sadhu Singh and Gurcharan Singh respecting the rioting that had begun from the afternoon of 01.11.1984 onwards besides other witnesses named Kulwant Singh, Herbai, Ladli Bai, Gurdeep Kaur, Kamlesh, Somti Kaur, Sundri Bai, Gurmeet Kaur, Jasbir Kaur, Surender Kaur, Surjeet Kaur, Thakri Bai, Ponti Kaur, Manichi Bai, Prem Kaur, Meera Bai, Nanki Devi, Shanti, Manjeet Singh, Ramo Devi, Bhag Chand, Nihal Devi, Kulwinder Kaur, Ram Pyari, Somi Bai, Barfi Bai, Hukmi Bai, Kamla Bai, Bhagwani Bai, Chunda Singh, Charanjeet Kaur, Surender Kaur, Dalwinder Singh and Avtar Kaur, etc. Each of the said witnesses in their respective statements under Section 161 Cr. PC narrated as to how their houses had been attacked, burnt, damaged or destroyed, their household goods looted and their kith and kin subjected to violence, a number of them dying in the process due to the injuries inflicted including by fire. These witnesses attributed specific role to some of the rioters by name. 19. As per the aforementioned first challan, household goods which were found thrown on the streets or in public places had been taken in police possession by proceedings recorded under Section 102 Cr. PC. As many as 108 dead bodies had been found and gathered and subjected to autopsy, some of them having been identified. Lists of the persons who had died and lists of the properties which had been damaged were added as Annexures „A‟ and „B‟ respectively. The charge-sheet concluded with the submission that curfew had been proclaimed in Delhi under Section 144 Cr. PC and that the riots had taken place in breach of the said curfew restrictions, in the course of which the aforesaid offences including of murder had been committed, it thus seeking prosecution for offences under Sections 147, 148, 149, 302, 201, 436, 427, 188, 452, 380, 356, and 323 IPC to be held. 20. Annexure „A‟ (Ex. PW1/P-2) appended to the first challan (Ex. PW6/E) was a list of houses that had been burnt or looted on 02.11.1984, they including five houses of Block no.21, five houses of Block no.30, twenty two houses of Block no.32 and eleven hutments (jhuggis) of Block no.32 and 33. Annexure „B‟ (Ex. PW4/A-1) was the list of names (and parentage) of fifty two (52) persons who had been killed on 02.11.1984. 21. Challan no.2, which was simultaneously prepared and forwarded to the court on 03.12.1985, carried narration of the same set of facts beginning with lodging of DD no.12A till the stage of registration of the FIR no.426/1984 on the basis of statement of Rijju Singh. It indicated this challan to be respecting the incidents that had occurred on 01.11.1984, being based on the statements of witnesses including Bachu Singh, Sadhu Singh, Gurcharan Singh, Sadhori Bai, Darshan Kaur, Jasbir Singh, Vidya Devi, Sarbjeet Kaur, Gopi Bai, Bhagwan Kaur, Sunita Kaur, Poora Bai, Thakri Bai, Ishwari Kaur, Hazari Singh, Pammi Devi, Kamlesh, Ranjha Singh, Raj Rani, Prabhi Bai, Maya, Kanta Rani, Guljar Singh, Gyan Kaur, Sugna Singh, Sunita Bai, Jamla, Chamo Bai, Som Singh, Chija Kaur, Devi Bai, Maya Kaur, Baljeet Kumar, Bhajan Kaur, Bhagti Bai, Janki Bai, Santokh Singh, Raj Bai, Kamla Kaur and Inderi. All these witnesses in their respective statements under Section 161 Cr. PC also narrated the incidents wherein the riotous mobs had attacked their respective houses causing loot, plunder and destruction and killings of their kith, kin or acquaintance, in their presence, the witnesses specifically identifying, by name, some of the assailants or rioters. 22. In the second challan, reference was also made to the statements under Section 161 Cr. PC of more than ninety other witnesses who had also narrated the sequence of events relating to riots on 01.11.1984. Alongwith this charge-sheet (Ex. PW11/A) also, two lists were submitted, they being Annexure „A‟ in three parts (Ex. PW6/A to C) and Annexure „B‟ (Ex. PW6/D). The first annexure was the list of properties that had been burnt during the riots on 01.11.1984, they including one house of Block no.21, seventeen houses of Block no.30, two houses of Block no.31, seventy seven houses of Block no.32, one house of Block no.33 and two houses of Block no.36, besides twenty nine jhuggis, two Gurudwaras (one each in Block nos.32 and 36) and two shops both in Block no.32. The second Annexure (Ex. PW6/D) was a list of the names (and parentage) of one hundred and forty six (146) persons who had been killed in the riots on 01.11.1984. As per this charge-sheet, as in the first one, prosecution was sought for offences punishable under Sections 147, 148, 149, 302, 201, 427, 436, 325, 326 and 188 IPC. 23. A list of about one hundred and ninety two (192) accused persons who were sent up for trial is found in the trial court record (at page 245) - it being partially torn at the bottom and therefore, not clear as to the actual total number. There is no clarity on this list as to which of the two challans it pertained. Immediately following the said list of accused, there is another list of witnesses – ninety four (94) in number, it again not being clear as to which of the two challans the same was part of. Mercifully, there are two more lists in the trial court record, they appearing in the later part, one captioned as list of accused persons – ninety one (91) in number and the other, captioned as list of witnesses – one hundred and seventy nine (179) in number, each indicating the same to be pertaining to challan no.2. 24. The trial court record shows that besides the statements under Sections 161 Cr. PC of various witnesses, reliance was placed, inter alia, on the seizure memos of various looted properties which were found on roads, streets, by-lanes or other public places under Section 102 Cr.PC (implying that no one in particular was found to be in possession thereof), seizure memos of burnt or damaged vehicles, dead bodies, MLCs, death reports, inquest papers and autopsy reports in respect of various victims, quite a few of them not even having been identified, as indeed photographs of affected properties. 25. Two separate and parallel, almost identical, proceedings were drawn by the court of the Metropolitan Magistrate, the orders dated 20.12.1985 whereby cognizance was taken and processes issued against the accused persons being non-speaking and cryptic. Since the charge-sheets had sought prosecution for far graver offences including under Section 302 IPC read with Section 149 IPC, it has to be inferred that the order of cognizance and issue of process under Sections 190 read with Section 204 Cr.PC was to the effect of summoning the accused on such accusations as well. The parallel proceedings on the two charge-sheets were similar and continued till 18.04.1987 when the two cases - arising out of the two challans relating to the same FIR - were committed by the Metropolitan Magistrate to the court of Sessions. 26. The proceedings anterior to the committal of the two cases would show the Metropolitan Magistrate had difficulty in securing the presence of the accused persons who had been sent up for prosecution - undoubtedly a large number, and therefore, undoubtedly an unwieldy task. Several of the accused persons would not appear, some eventually absconding, some reported to have died. The committal orders, however, lack clarity as to how many of the total number of accused who had been sent up by the police for prosecution were actually present before the committal Magistrate when he decided to pass on the case to the court of Sessions for trial. 27. It is also pertinent to mention here that in the committal orders, the Metropolitan Magistrate observed that, in his opinion, prima facie, offences punishable under Sections 147, 148, 149, 436 IPC were made out and since the same (assumably reference being made to the offence of Section 436 read with Section 149 IPC) were triable exclusively by the court of Sessions, the cases were committed to the Sessions in compliance with the requirement of Section 209 Cr. PC. The committal orders conspicuously lack clarity as to why there was no case found made out for any graver offence particularly on the accusations that a large number of persons had died in the violence committed by the rioters who were members of the unlawful assembly that had also statedly committed the offences under Section 436 read with Section 149 IPC by damaging a large number of houses by fire. 28. Be that as it may, the two cases came up before the court of Sessions on 16.05.1987. The record of the trial court would show that as in the case of committal court, two parallel proceedings were drawn in each case, they being captioned as proceedings of challan no.1 and challan no.2 respectively. Both the cases were taken up simultaneously from one date to the other, adjournments being granted primarily because a large number of accused persons would not appear leading to duress processes being issued against them. The presiding Additional Sessions Judge also expressed difficulty in various proceedings on account of paucity of space in his court room where such large number of accused could not be accommodated. It appears every time the cases came up, the presiding Judge had difficulty in counting the heads and taking attendance of the accused persons, exemption being taken by some, others disappearing or re-appearing almost at will, the issuance of duress processes though resorted to not bringing about the requisite discipline. The cases lingered in this manner over the years, the presiding Judge being almost a helpless spectator. "SPP has moved an application stating that there are misjoinder of charges in case 426/84. It is submitted that the incidents had taken place on 01.11.1984 and 02.11.1984. The persons have been arrested separately for the offences committed on Ist and 2nd Nov. The witnesses have separately described the incidents of Ist and 2nd Nov. and have separately named the accused persons for the incidents of 01.11.1984 and 02.11.1984 during the riot period but the IO has investigated the entire incident of 01.11.1984 and 02.11.1984 together and he just filed two challans one covering all incidents of 01.11.1984 and other covering all incidents of 02.11.1984 involving approx 200 accused persons It is submitted by the ld. SPP that the trial of all the accused persons involved in the two challans cannot proceed together because that would amount to mis-joinder of the charges and would amount to trial of different persons of different incidents together resulting into a grave illegality. Keeping in view the fact that on the night of 02.11.1984, 107 rioters were arrested by the police in breach of curfew and they were held up under Sections 143/144 / 147/ 148 IPC read with S. 435, 436, 395 IPC etc. and later on, on the basis of evidence of witnesses, other persons were also arrested who were involved in specific incidents of murder or looting and burning, I consider that the prosecution should not have filed two challans on the basis of dates the prosecution should have filed the challan on the basis of separate incidents involving the accused persons. It is therefore directed that ACP Riot Cell Rajeev Ranjan and SHO Kalyan Puri be summoned to the court and directed to split the challan in accordance with the incident and not in accordance with the date. The challan of 107 accused persons who were rounded up at one time form the spot by the police should be filed altogether so that trial of all these persons can proceed further. To come up for appearance of ACP Riot Cell and SHO for 13.09.1995. Accused persons to appear on 20.09.1995." 30. During the course of hearing on these appeals, the learned Special Public Prosecutor was called upon to explain as to what steps had been taken in the follow-up of the directions of the trial court, by its order dated 08.09.1995. He informed, after gathering facts from Delhi Police Headquarters (Special Riots Cell), that about fifty-five supplementary charge-sheets had been submitted in the wake of the afore-mentioned directions of the trial court, they including the charge-sheet presented on 06.10.1995 on which, as the subsequent narration would show, the trial eventually was held against the appellants herein. He further informed the Court that subsequently, on the recommendations of a Committee, the Special Riots Cell of Delhi Police, which has been looking after these matters, had carried out further investigation of FIR No. 426/1984 of police station Kalyan Puri and this had led to filing of three more supplementary challans which too were later split into twelve session cases, they having given rise to five more session cases being bifurcated, the other supplementary charge-sheets (as referred to above) being connected to separate incidents, some concerning death(s) of specific individuals, the cases of homicidal death of seventy-three persons being resultantly covered by such prosecutions, all arising out of FIR No. 426/1984 of police station Kalyan Puri. He also informed the court that almost all the said cases have since reached the stage of conclusion of trial, quite a large number of proceedings having abated on account of death(s) of the persons arraigned as accused. 31. The subsequent order-sheets in the files of the original two above-mentioned challans show that, after some adjournments, a fresh charge-sheet was submitted (described as challan which had been "splitted partly") on 06.10.1995. This fresh charge-sheet dated 06.10.1995 only referred to the contents of the FIR no.426/1984 and the version of Rijju Singh (PW-2) forming the basis thereof and the investigative steps that had been undertaken including in the wake of recovery of burnt dead bodies that had been gathered and their post-mortem examination and sought prosecution for offences under Sections 147, 148, 149, 436, 427, 302, 395, 186, 323 IPC. A list of one hundred and seven (107) persons captioned as "at spot arrested" was added as the list of accused whose trial was sought, the list of witnesses appended to this charge-sheet containing the names of 15 including two public persons namely Rijju Singh (PW-2) who was the first informant of the FIR and one Sadhu Singh son of Sukha Singh resident of House no.32 of Block no.32 Trilok Puri who was given up by the prosecution during the trial. The proceedings in the two Sessions cases (bearing nos.24/95 and 34/95) that had been earlier registered continued together, primarily to secure the presence of some of the accused who were elusive. "04.12.95 Pre: Salim in J/C. All the accused except Jai Kishan, Rajinder Singh, Shamim Mohd s/o Rehman, Naresh Pal s/o. Shyam Singh and Hari Pal are present. NBWs of Hari have not come back. The other accused persons were proceeded U/s 82/83 Cr. PC. Report of the proceeding u/s 82/83 Cr. PC has been received. On the basis of the report, all these accused persons except Hari Pal are declared P.O. One of the accused Ram Singh s/o. Gopi Ram was also proceeded u/s. 82/83 but he has appeared. Proceedings u/s. 82 / 83 Cr PC are dropped against him. His surety bond be restored. As far as Hari Pal is concerned, a large number of accused persons are involved in this case. The trial cannot be postponed time and again for absence of only one accused Hari Pal. Proceedings u/s. 82 / 83 Cr. PC be initiated against him. Proceedings for charge against accused persons be started. Arguments on charge heard. Charge framed against 93 accused persons given in the list Annexure 'A' the charge. Accused persons have pleaded not guilty. To come up for P.E. on 04.01.1996." " That on 02.11.84 at 3.30 p.. at Block No.32, Trilok Puri, within the jurisdiction of PS Kalyan Puri, you alongwith your unknown persons disobeyed the Prohibitory / Curfew orders promulgated under r. PC by the then Commissioner of Police, Delhi for that area and your such disobedience caused riot in that area and thus you thereby committed an offence punishable under Section 188 IPC and within my cognizance. Secondly on the aforesaid date, time and place, you alongwith unknown persons formed an unlawful assembly a common object of which was to kill Sikhs and loot and burn their properties and at that time you were armed with deadly weapons which you used the same in committing the riot. Thus, thereby committed an offence punishable under Section 148 IPC and within my cognizance. Lastly on the same date, time and place, you alongwith unknown persons were the members of the aforesaid unlawful assembly within the prosecution of common object to commit mischief and in consequences to achieve that object you burnt the houses of Sikhs situated in block no.32 and 33, Trilok Puri, and thus, you thereby committed an offence punishable under Section 436 read with Section 149 IPC and within my cognizance”. 34. There is no clarity in proceedings of trial court as to why no case for charge under Section 302 or 397 IPC was found made out on available material. "Pre: Ram Asre s/o Ram Roop r/o. 30/59-60, Trilok Puri He was apprehended by the police in FIR no.426/84 in challan No.2 filed by the prosecution. Perusal of various statements under Section 161 on the basis of which challans have been split and separate challans have been field incidentwise shows that no witness has named Ram Asre r/o. Ram Roop as the person who was involved in rioting or who was member of unlawful assembly, nor he was arrested at the spot by the police. He was arrested later on by the police. Under these circumstances accused Ram Asre s/o. Ram Roop is hereby discharged." 36. The formal charges which were framed clearly show that from the evidence that was presented by the prosecution through the charge-sheets, the trial Judge was satisfied that aside from the offence of disobedience to the order (of curfew) prohibiting unlawful assembly that had been duly promulgated by the Commissioner of Police, it constituting offence under Section 188 IPC, a case was also made out for framing of charge for the aggravated form of rioting (armed with deadly weapons) under Section 148 IPC. 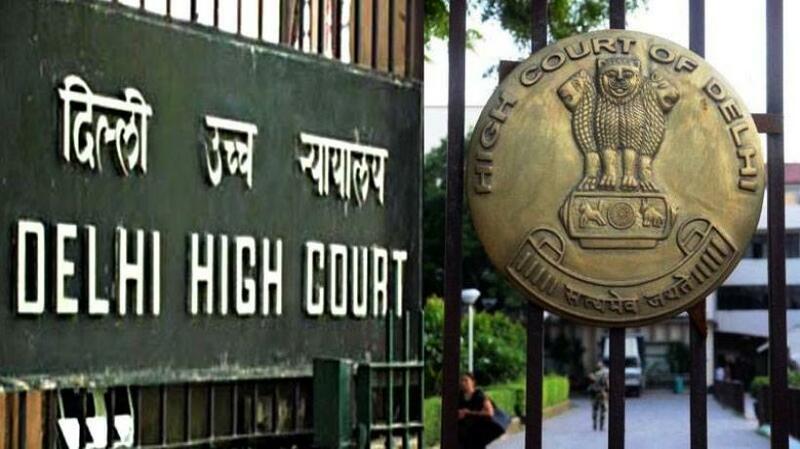 Further, the trial Judge was also satisfied that on the basis of available material, a case had been made out for invocation of the rule of vicarious liability under Section 149 IPC vis-a-vis the offence of mischief by fire or explosive substances to destroy the houses, shops or places of worship, punishable under Section 436 IPC. Though the statements of various witnesses under Section 161 Cr. PC which have been referred to earlier did indicate specific role being attributed by a number of witnesses or victims to specific individual accused persons, at the stage of charge it was a legitimate recourse to Section 149 IPC for putting the accused persons on trial for the offence under Section 436 IPC. 37. The charge-sheet(s) would refer to commission of far more serious offences having been committed (including murder) in the wake of reported deaths of ninety five persons in this incident. 38. For reasons that cannot, however, be gleaned, from the orders recorded by the court of Metropolitan Magistrate at the time of taking of cognizance or committing the case, or by the court of Sessions at the stage of framing of charge, as to why no case was found made out for the far more serious offences of murder atleast those not covered by supplementary challan from out of ninety five (95) persons whose dead bodies had been found and subjected to inquest proceedings and autopsies, material in which regard had been submitted with the first two challans. 39. The trial court recorded the evidence for prosecution starting with the first witness examined on 22.02.1996 and concluding with the last witness examined on 22.05.1996, they being in all, eleven in number. The witnesses included Sub-Inspector S.L. Khurana (PW-1), who proved prohibitory orders; Rijju Singh (PW-2), the first informant; Assistant Sub-Inspector Ganga Ram (PW-3), who was posted as Duty Officer in the police station and had registered the FIR; Mr. Sanjeev Bhalla (PW-4), a clerk from Home Police - II, Department of Govt. of NCT of Delhi, who produced notifications respecting appointment of certain committees for inquiry into the 1984 riots; Head Constable Pat Ram (PW-5) who was with the other police personnel and deposed about the sequence of events, inter alia, resulting in riots and the accused persons being apprehended; Reserve Inspector Badan Singh (PW-6) who assisted in the investigation of the case taking various steps; the then SHO Inspector Shoorvir Singh Tyagi (PW-7), whose evidence is similar to that of PW-5; Sub-Inspector Manphool Singh (PW-8), who is the author of the rukka, he having recorded the statement of PW2; Inspector Davinder Singh (PW-9), who prepared the scaled site plan to assist the investigating officer; Head Constable Dhanvir Singh (PW-10), the photographer who took various photographs of the scene of crimes; and, Inspector S.S. Rathi (PW-11) who had taken over as SHO police station Trilok Puri in the wake of PW-7 being placed under suspension in the night of 2nd / 03rd November, 1984 and had handed over the investigation eventually to Inspector Badan Singh of Special Investigation Unit (SIU) of the Vigilance branch at Police Headquarters. 40. One of the accused named Pyare Lal son of Ram Niranjan had earlier absconded. While the trial against the ninety three (93) other accused which had commenced in terms of the order dated 04.12.1995 was midway, the police apprehended Pyare Lal and filed, on 19.07.1996 a supplementary charge-sheet dated 17.07.1996 in his respect before the court of Sessions. The question of charge in his respect was considered on 27.07.1996 and an order similar to the one of 04.12.1995 was passed, the formal charges framed also being on the same lines as indicated above. The trial Judge recalled PW-1, PW-2, PW-4, PW-5, PW-6, PW-7 and PW-8 and examined them afresh for trial of Pyare Lal (some of them having been assigned different PW numbers). In addition, Head Constable Hoshiar Singh was examined (as PW-3), his evidence being similar to that of SI S.L. Khurana (PW-1). 41. The trial was thus held and out of a large number of witnesses mentioned in the narrative only eleven were examined, a large part of the evidence having been kept out. 42. In their respective statements, the accused persons against whom the trial was concluded denied the evidence for the prosecution regarding their complicity, generally pleading ignorance about the crimes that had been committed, pleading that they had been apprehended or picked up either from their houses or from other places and claiming to be innocent. 43. Five of the accused persons availed of opportunity to lead evidence in defence. Eight witnesses in defence were examined on their behalf or at their instance, the objective primarily being to prove alibi. 44. The judgment in the case was rendered on 27.08.1996 holding eighty nine of the accused persons guilty. 45. The trial Judge believed all the said witnesses examined in defence and consequently acquitted five of the total ninety four (94) accused who had been put to trial, those acquitted being Prem Chand son of Sukhai, Heera Lal son of Ram Singh; Sunil Kumar son of Lalta Prasad; Ganga Saran son of Bihari Lal; and Om Prakash son of Roop Narayan. 46. The trial Judge returned the findings of guilty to convict the said eighty nine (89) persons on the charge for offences punishable under Sections 188 IPC, 147 IPC and 436 IPC. By order dated 27.08.1996, the trial court awarded to each of the eighty nine (89) convicted persons punishment in the form of rigorous imprisonment for two years for offence under Section 147 IPC, imprisonment for six months for the offence of violation of curfew orders (and, therefore, for offence under Section 188 IPC) and rigorous imprisonment for five years with fine of Rs.5,000/- each for offence under Section 436 IPC. It further directed that in the case of default of payment of fine, the convicts would undergo further rigorous imprisonment for three months each, all the sentences directed to run concurrently with benefit of Section 428 Cr. PC duly accorded. 47. Before proceeding further, it may be noted that certain observations had been made in the judgment dated 27.08.1996 about the conduct of certain police officers. On the application made by one of them, he having been mentioned by name in the said judgment, correction was made deleting reference to him by order dated 29.08.1996 of the trial court. 48. These appeals were filed assailing the said judgment, and order on sentence, in September 1996 and have remained pending for over twenty two years, but the hearing could not take place for one reason or the other. 49. Since these appeals have come up for final hearing so long after they had been presented, all the appellants having been released on bail earlier, the sentence awarded against them by the trial court suspended at initial stages, difficulties having been faced to secure their presence, the State was called upon to verify and confirm their status. A report dated 19.09.2018 on behalf of Delhi Police was submitted by the Special Public Prosecutor, it indicating that some of them have since died, the proceedings against them consequently having abated. From the record, it is noted that reports verifying the death of Jawala Prasad, Ram Nihore, Ikram Hussain, Mohd. Yasin, Prakash Chand, Ram Deen and Maeenuddin (appellants in Crl.A.160/1996) were taken on record and by virtue of orders dated 09.11.2010, 18.01.2011 and 02.11.2015, the proceedings against them were held to have abated. Similarly, it is noted that reports verifying death of Jai Shree, Malik, Ram Dass, Munna, Kamal Singh, Rajinder and Jagdev (appellants in Crl.A.173/1996) were accepted and by virtue of orders dated 09.11.2010, 18.01.2011 and 30.03.2011, the proceedings against them were found to have abated. Further, verification reports of the deaths of Prem Kumar and Ajudhia Parsad, (appellants in Crl.A.176/1996) were accepted and the proceedings against them were found to have abated by orders dated 18.01.2011 and 02.11.2015. Also, as per orders passed on 30.03.2011, the appeals of Hakim Singh and Shankar (appellants in Crl.A. No.173/1996) and of Mohd. Salim (appellant in Crl.A.189/1996) were dismissed as they had absconded, reference in this context being made to ruling of Mukesh vs. State, 152 (2008) DLT 201 (DB). The appeals of remaining appellants have been heard. 51. is of no consequence for proving the complicity of any of the appellants in as much as he was not called upon to identify any of the appellants as perpetrators of the crime. From the situation in which he was placed, he cannot be termed as a witness who was withholding any information. His house had been burnt, his family had gone missing, he had no other place to take shelter in, he had remained concealed under a cot in a vacant room of the house of someone else till he was rescued by the police that brought him to the police station. 52. From amongst the witnesses examined by the prosecution, the testimony of five (PW-5 to 8 and PW-11) is material, the deposition of PW-5, PW-7 and PW-8 being crucial, the last mentioned three being the police officials, who statedly were involved in rounding up or apprehension of the rioters in Block no.32 in the afternoon of 02.11.1984, particularly such action resulting in the arrest of one hundred and seven (107) persons who were sent up for trial in the present case. 53. PW-7, the then SHO of the police station when the rioting broke out came to be accused of dereliction of duty. The FIR no.423/1984 which was registered at his instance was later cancelled on recommendations of the Vigilance Branch of Delhi Police upon the conclusion that he had created the said record to cover up for his own lapses. He was placed under suspension on the night of 02nd and 03rd November 1984, accusations of his active or otherwise complicity in offences under Sections 217 and 211 IPC having been levelled in FIR no.425/1984. The defence argues that having regard to these facts, it is not safe to act on the testimony of PW-7, he being “interested” in proving that he was quite pro-active in apprehending these one hundred and seven (107) persons, thereby bringing them to book. It would be instructive to go through his testimony to find if it can be relied upon notwithstanding such criticism directed against him by his own superiors in the police department. 54. The narration of the prosecution case begins primarily with the testimony of PW-8, it sought to be corroborated by testimony of PW-5, the prosecution also placing reliance on the evidence of PW-7 to prove the circumstances from which inference of guilt of the appellants is to be drawn for their involvement in the offence under Section 436 IPC respecting a large number of houses, shops, etc. of the area that were damaged or destroyed by fire, the principle of vicarious liability under Section 149 IPC being invoked for such purposes. 55. PW-8 testified at the trial that in November 1984 he was posted as Sub-Inspector at the police station Kalyan Puri. The riots had started in the said area, as per him on 01.11.1984 and he was assigned the duty to remain in block nos.1 to 10 of Trilok Puri. A riot victim had died and he was called upon to go to J.P.N. Hospital where he had reached late in the night around 10.50 p.m. He was able to return, on foot – there being no vehicle available from the hospital to the police station by 5.45 p.m. on the next day i.e. 02.01.1984 and, immediately thereafter, he was told to go to block no.32, Trilok Puri, he being accompanied at that point of time by PW-5. On the way, he received copy of DD entry no.12A (Mark „A‟) concerning the riotous situation. He reached block no.32 around 6.30 p.m. and by that time the van of police control room (PCR) had already arrived. He found several houses of Sikhs in block nos.30 and 32 on fire. According to him, the rioters noticing the arrival of the police had shifted to the back-lanes. Police reinforcements arrived and the rioters were surrounded and apprehended from the spot, they being 107 in number. 56. PW-8 clarified that since police force was deficient in number, those apprehended were immediately shifted to the police station where they were formally arrested after personal search, the documents prepared in this regard being proved by him as Ex. PW8/C-1 to C-107. The record confirms that the arrestees included the appellants herein. 57. PW-8 is the police official who had recorded the statement of PW-2 which formed the basis of the FIR registered in terms of his endorsement (Ex. PW8/B). The investigation of the case was entrusted to him and he testified that he had remained in the area throughout the night and amongst the steps taken by him, the dead bodies which were littered all over were collected - 95 in number - and carried in two municipal vans to the police station from where they would be sent for autopsy proceedings after formal police inquiries into the death. 58. PW-8 also testified that the household goods which were found lying on the roads were seized and he proved the seizure memos (Ex. PW8/D-1 to D-8). He got the area subjected to photography during the night of 2nd and 3rd November 1984 and continued with the investigation for about fifteen days in the course of which he recorded the statements of various witnesses or victims, he being assisted in the task by two other police officials namely SI Ran Singh and SI Rajender Prasad Tyagi, the investigation later being made over to the investigation team of vigilance branch, it being led by Inspector Badan Singh (PW-6). 59. During cross-examination, PW-8 testified that he had been on duty from the night of 31.10.1984 onwards, every police personnel being on emergency duty on account of the riots. He stated that curfew and prohibitory orders had come into force from late evening hours of 02.11.1984, this having been proclaimed, for the information of people at large from loud speakers on the government vehicles, though he was not sure as to how many vehicles had been deployed for such purposes. He testified that he had himself heard such announcement being made by ACP Mr. Malhotra. 60. PW-8 was questioned during cross-examination about the arrests of those who were prosecuted (i.e. including the appellants). He stated that the area DCP, Mr. Sewa Dass, some ACPs and certain other police personnel had assisted in rounding up the rioters. According to him, the rioters were found in groups of 5 to 25. He testified that he had met the SHO (PW-7) at the corner of block no.32 where a police van was stationed. Those rounded up were brought to the said place for being put in the pick-up van of the police, the SHO being present at the place most of the time. He conceded that none of the arrestees was found carrying any weapon like wooden sticks, fire arms or cutting instruments, his assumption being that the rioters must have thrown away such articles during chase. 61. The arrests were made from around 7.45 p.m. till about 10.45 p.m. well before midnight, under the supervision of PW-8 and with his help, the list of arrestees being prepared on the basis of description given by each of them. He would also state that names and particulars of the apprehended persons were taken down on paper at the time of they being left near the police vehicle that would carry them to the police station, at times by him and at times by other police staff assisting him. He was at one point of time not sure if he had sent the rukka (Ex.PW8/B) for registration of the FIR before the list of arrestees was readied but then asserted that the names of the apprehended persons had been noted, though not consolidated in the form of one list, before the rukka was written and sent to the police station through PW-5. He conceded that the list of particulars of 107 arrestees was not sent with the rukka to the police station, his explanation being that he had handed over the said list to the SHO (PW-7) before starting writing the rukka. He would state that the rough lists from which the final list of arrestees was subsequently prepared were not preserved, the list of arrestees appended to the FIR having been prepared later by the Moharrar (Record), he having incorporated the same in the case diary, preparation of which task had commenced from about 8.30 p.m. on 03.11.1984 onwards. 62. Though PW-8 candidly conceded that he would not be able to orally narrate the names of those arrested on 02.11.1984 (his statement under cross-examination being recorded on 24.04.1996), he was able to recall some of the names. He was not in a position to pin point as to from which particular place in the area or which particular group, specific individuals were apprehended. He explained that the SHO had supervised the despatch of those arrested to the police station with the help of available staff and that he was not able to say as to which arrestee was sent first and who were sent later. He denied the suggestions of the defence that those arrestees were residents of the riot affected blocks of Trilok Puri. 63. PW-8 was questioned as to the place where the arrestees were confined. He explained that there was no lock-up (hawalat) available in the local police station and, thus, the arrestees were kept in confinement in the police station premises, some located in the investigating officer's room, some in veranda and others in the backyard, under police guard. He explained that the arrested persons were taken before the Metropolitan Magistrate on duty at Tis Hazari courts (no Duty Magistrate being available at Shahdara) on 03.11.1984 at about 2.30 p.m., they having been transported there in buses and further that sufficient police force being not available, they were kept in the vehicles for remand proceedings by the Duty Magistrate and carried accordingly from the court to the jail. 64. PW-8 further stated, under cross-examination, that PW-5 had returned, after getting the FIR registered, two-three hours after he had set out with the rukka. At that time, he was pre-occupied collecting the dead bodies from block no.32. He conceded that FIR no.423/84, in which a large number of Sikhs had been arrested, had been later cancelled by the vigilance department. He also confirmed that the SHO (PW-7) was suspended during the night of 02nd and 3rd November, 1984. 65. PW-5, who was with PW-8 for a long time during the police proceedings, deposed at the trial that during his posting at police station Kalyan Puri on 02.11.1984, at the time of riots he had accompanied PW-8 to block no.32 at about 6.00 p.m. and found some houses on fire. He spoke about taking the rukka given to him by PW-8 to the police station where FIR was registered and about his return and handing over copy of the FIR to PW-8. 66. During cross-examination, PW-5, also spoke of he being continuously on duty on the said day, on 24-hours basis, though stating that he would not remember the exact time of his presence in the police station since it was an old matter (he was deposing in the court on 18.03.1996). He would not remember if he had gone anywhere other than the riot affected area or about other inputs or FIRs that may have been logged. He explained that the police station was located in the vicinity of block nos.11 and 13 while block no.32, to which the present case related, was about two and half kilometers away. He was unable to specify the number of police personnel or their rank who were present in the police station at the relevant point of time. 67. PW-5 confirmed that PW-8 had the information about rioting was received and that as the two of them were proceeding towards block no.32, riots were taking place. He was, however, unable to tell specific street numbers or pockets of block no.32 which were affected. He confirmed that a large number of persons had been found to be injured, some of whom were sent to the hospital by PW-8, the SHO (PW-7) and PCR van having also arrived within 5/7 minutes, the SHO having remained in the area of block no.32 for the duration he was away to the police station for getting the FIR registered. He confirmed the continued presence of SHO at the time of his return from the police station and stated that he had remained there at the spot thereafter for two more hours. During questioning under cross-examination, PW-5 confirmed that he was also involved in arrest of the rioters from the spot, they having been brought to the police station. He explained that first priority was to remove the injured to the hospital, his duty being to assist them to board the vehicle meant for the purpose, it being a police pick-up van. 68. PW-5 also stated that at the time of police proceedings at the spot, it had fallen dark but explained later that the police proceedings (rukka) were recorded in the light of police vehicles. He confirmed, under cross-examination, that prior to the preparation of rukka, 107 persons "who were rioting" had been apprehended, they having been arrested, after chase, from different places within block no.32. He also corroborated the word of PW-8 about curfew having been imposed and that police personnel were chasing the rioters in order to apprehend them, reinforcements having arrived within 5/7 minutes. This witness corroborated the word of PW-8 about the names and addresses of the persons apprehended being duly noted during such proceedings at the spot. 69. As mentioned earlier, PW-7 was the SHO of the police station Kalyan Puri on the day (01.11.1984) the riots broke out in the area. Though he came to be accused of dereliction of duty in handling the situation, some of the actions taken by him (including registration of FIR no.423/1984) having been questioned as motivated, his evidence cannot be wished away. After all, his presence at the scene of riots from which the present case arose was not only natural but also duly confirmed by other evidence including the testimonies of PW-5 and PW-8. 70. PW-7, the SHO, testified at the trial that on 02.11.1984 at about 5.45 p.m., he had received the information on wireless network about the riots in block no.32. At that time, he was patrolling in the area and, thus, had reached the corner of block no.32, entering from the side of block no.36. He met PW-8 present at the scene and saw houses and hutments afire. PCR van had reached at the spot in his presence. He testified about arranging removal of the injured persons to the hospital with the aid and assistance of PCR and having sent messages to fire brigade for assistance and to senior officers for police reinforcements, the difficulty faced by him being that he had the assistance of only two or three constables present with him while the information was of a large number of rioters having gathered, the commotion created by them being audible. He spoke about rescuing riot affected families and giving directions to PW-8 and other police personnel to enter block no.32. Police reinforcements joined after sometime. 71. PW-7 testified that with the help of additional forces, 107 rioters were surrounded and apprehended from block nos.30 and 32, their lists having been prepared and they being sent to the police station after arrests. He stated that the formal documentation relating to arrests - preparation of list and personal search (jamatalashi) – was looked after by PW-8. The proceedings relating to the identification of the dead bodies were also taken care of by PW-8. To a question by the court, the SHO clarified that though he was at the corner of block no.32 and had been able to see the riot affected area and streets upto 100 yards, noticing the dead bodies in burnt condition, he himself had not entered block no.32. He admitted that he was placed under suspension during the night of 02nd and 03rd November, 1984. 72. During cross-examination, PW-7 conceded that he had received information about rioting in the area several times even on 01.11.1984, though no public person had come to the police station for lodging a case, probably due to fear. He was unable to give the description of the specific houses which had been put on fire. The total strength of police personnel available to the police station was in the region of 60 to 80, almost entire police force having been deployed in the riot affected areas, only 5 / 7 personnel being present in the police station, 2 / 3 being with him on patrolling duty, which had continued from 7-8 a.m. in the morning of 02.11.1984 onwards, the area covered being approximately 30 square kilometers which fell within his jurisdiction. 74. PW-7 was not able to specify as to which of the arrestees were picked up from which particular place of block no.32 or the area around. He was also not able to narrate the sequence of the arrests or the number of persons who were apprehended first followed by subsequent arrests. He corroborated the word of PW-8 about all arrests having been made by 10 / 10.30 p.m. Crucially, under cross-examination, the witness stated that riots had subsided in the wake of arrests of 107 persons. The arrested persons were removed to the police station sometime around midnight, the list in their regard having been prepared after the rukka had been sent. He denied the suggestions about he not having seen the riot affected areas or curfew not having been proclaimed insisting that the announcement of imposition of curfew had been made in the entire area through loudspeakers. He also denied the suggestions that the persons arrested had been picked up from the houses or apprehended from "the public way". 75. As mentioned earlier, PW-6, posted as Reserve Inspector in East district at that point of time was temporarily attached to the Crime Branch on 04.12.1984 and assisted in the investigation of this case. He has testified that he had recorded the statements of witnesses, got the burnt houses photographed and collected information, to the extent possible, about those who had been killed. He proved list (Ex. PW6/A) of houses found burnt or looted on 01.11.1984, list (Ex. PW6/B) of jhuggis burnt or looted on 01.11.1984, list (Ex. PW6/C) of gurudwaras or shops burnt on 01.11.1984 and list (Ex. PW6/D) of particulars of 146 persons who had been killed on 01.11.1984. These documents were prepared by him and countersigned by the SHO (PW-7). He also referred to photographs printed on sheets (Mark „A‟ to „D‟) depicting the burnt houses, the steps taken in this regard being confirmed by PW-10. It may be added that the trial court record also contains 20 positive photographs depicting portions, or rows, of houses clearly extensively damaged due to fire and of dead bodies of some of the victims. Though it does appear that the negatives which had been exposed for photography were not preserved or shown at the trial, the absence of formal proof in this regard is inconsequential in view of the other sufficient evidence available showing a large number of houses having been affected due to arson, as corroborated by the evidence of PW-9 who depicted the extensive area affected by destruction through fire in the scaled site plans (Ex. PW9/A-1 to A-11), such depiction being also noted in the rough plan (Ex. PW8/E) which had been prepared by PW-8 almost contemporaneously on 03.11.1984. 76. The charge-sheet was prepared by PW-6 and submitted in court through PW-11 who had taken over the position of the SHO of the police station from PW-7 on the night of 02nd and 03rd November, 1984. Affirming these facts, PW-11 also proved the complaint (Ex. PW4/A-3) which had been submitted in terms of Section 195 Cr. PC. by the Commissioner of Police seeking prosecution of the arrestees, including the appellants herein, for the offence under Section 188 IPC, by their presence in the public place and by engaging themselves in rioting having committed the breach of the prohibitory orders imposing curfew. 77. As indicated earlier, the material submitted with the charge-sheets also comprised of MLCs (dated 02/03.11.1984) in respect of several injured persons including Ladda Singh, Joginder Singh, Sucha Singh, Jeet Singh, Kartar Singh, Harjit Singh, Gyan Singh as also radiologist's reports in respect of some of them confirming grievous injuries. The material presented with the charge-sheets also included death reports more than one hundred in number (some in duplicate) prepared by the police in respect of a large number of victims, identity of only some established, most of them being unknown males, all in the age group of youth or in middle-age. It also included inquest papers concerning the above and post-mortem examination reports issued by Department of Forensic Medicine of Maulana Azad Medical College in respect of the dead bodies of Gyan Singh and of nine other unknown males. No formal evidence on the basis of such material was adduced in the trial of the case from which the present appeals arise, statedly because no charges of culpable homicide or of voluntarily causing hurt (simple or grievous) were framed in this case. 78. As mentioned earlier, the household goods which were lying scattered on the roads besides the burnt vehicles which were noticed in the area had been seized by PW-8 during the course of investigation under Section 102 Cr. PC. The trial court record would show that a large number of such seized unclaimed articles, apparently articles which had been looted from the riot affected houses, were released on superdari to the rightful claimants. The persons who took over the said articles would assumably be the persons from whose respective houses the same had been earlier removed with dishonest intention by the rioters. None of the said persons whose property was assumably looted were examined in this case, statedly because no charge of theft, robbery or dacoity was framed here. 79. The learned counsel for the appellants argued that the trial court has been swayed by extraneous material in returning the finding of guilty, it having referred extensively to unconfirmed, unverified and unauthenticated reports appearing in certain write-ups or depositions before Commissions of Inquiry about the extent or effect of the mob violence that statedly occurred in the wake of assassination of the Prime Minister of the country on 31.10.1984. It is the submission of the defence counsel that the first informant (PW-2) having conceded that he had not been called upon to identify any of the appellants as participants in the crimes, he being not in a position to prove the culpability of any of them, the finding of guilty could not have been returned on the testimony of PW-8 or, for that matter, the deposition of PW-5 and PW-7. It is the submission of the appellants that they were picked up from their respective homes to be falsely implicated in the present case, the endeavour of the police being to show that they had “worked out” the crime, the anxiety being to cover up for their administrative or other lapses. It was also argued that the present case is founded primarily on the allegations of “mere presence” at the scene of the crime without any overt-act indulged in by any of the appellants being proved. 80. Per contra, the State argued through the Additional Public Prosecutor that since the evidence about proclamation of prohibitory and curfew orders on 01.11.1984, has gone unimpeached, the evidence showing presence of the appellants at the scene of arson and looting of almost all houses of block no. 32, no explanation or justification having even been offered for such presence, the guilt of the appellants has been properly brought home, there being no doubt as to their participation or being member of the unlawful assembly which was running into hundreds, if not thousands, their names having been duly recorded at the time of apprehension from the spot as documented in the earliest formal records, reliance in this regard being placed on judgment of the Supreme Court in Sherey & Ors. vs. State of U.P. 1991 Supp (2) SCC 437. 81. This Court accepts the submission of the defence that the criminal court must reach its conclusions on the basis of evidence that is adduced before it in accordance with law. Personal knowledge or media reports – particularly when they are not formally proved or authenticated (not even relied upon) cannot be the basis of conclusions in a criminal trial. The learned trial Judge has indeed made copious references in his judgment to the narrative in private publications covering the riots of 1984 and picking up from depositions before Inquiry Commissions. Since some of such reports were purportedly based on eye-witness account of the author(s) of the publication (as mentioned in the impugned judgment), the proper procedure to be followed would have been for the trial Judge to exercise suo motu his powers under Section 311 Cr.P.C. to summon such person(s) and have their formal testimony taken on record. That would have been a more fair procedure since it would give an opportunity to the defence to meet the challenge of the scenario painted by such coverage. 82. But then, inclusion of such extraneous material in the trial court‟s judgment, cannot by itself, lead to the conclusion that the decision is wholly unfounded. It is the duty and obligation of this Court – the final Court on facts – to subject the evidence that was adduced on record to another scrutiny and examine if the conviction has been properly returned. 83. The evidence of the prosecution witnesses, in general, leaves no room for doubt that riots had broken out in various blocks of Trilok Puri, particularly affecting, very badly, Block no.32 right from the afternoon of 31.10.1984, such conditions having continued till 03.11.1984 and, consequently, riotous mobs prevalent in the afternoon of 02.11.1984 in Block no.32 to which the present case relates. The evidence also clearly brings out that the civil authorities had found the situation to be going out of control and, therefore, prohibitory orders had been promulgated by the then Commissioner of Police on 31.10.1984 followed by curfew order issued and promulgated on 01.11.1984, copies of the said prohibitory order (Ex. PW1/B) and curfew order (Ex. PW1/A) having been proved by PW-1 (as indeed by PW-3 qua Pyare Lal). There is abundant evidence available on record that the said orders were duly published for information of people at large in various localities including the areas where the crimes alleged in the present case were committed. By virtue of these orders, any unauthorized presence or assembly of persons, particularly an assembly of persons of five or more with the common object to commit an offence, would be unlawful and liable to be treated as disobedience to the order to such effect duly promulgated by a public servant within the mischief of the penal clause contained in Section 188 IPC. 84. By the same logic and reasoning, it can be added here that if the prosecution were to prove that the assembly consisted of five or more persons, its common object being to commit an offence, particularly the offence of mischief (by fire) with which the appellants were charged, such assembly would be "unlawful assembly" within the meaning of the expression defined in Section 141 IPC. The law makes, by provision of Section 142 IPC, the act of being a member of an unlawful assembly itself an offence, it being punishable under Section 143 IPC, provided such person joins such assembly or continues to be a member thereof with knowledge of the facts that render it an unlawful assembly. If a member of the unlawful assembly is armed with any deadly weapon or with anything that can be used as a weapon of offence which is likely to cause death, such person attracts an enhanced punishment under Section 144 IPC. "149. Every member of unlawful assembly guilty of offence committed in prosecution of common object - If an offence is committed by any member of an unlawful assembly in prosecution of the common object of that assembly, or such as the members of that assembly knew to be likely to be committed in prosecution of that object, every person who, at the time of the committing of that offence, is a member of the same assembly, is guilty of that offence." “8. Section 149 IPC provides that if an offence is committed by any member of an unlawful assembly in prosecution of the common object of that assembly, or such as the members of the assembly knew to be likely to be committed in prosecution of that object, every person, who at the time of committing of that offence is a member of the same assembly, is guilty of that offence. … Whoever being aware of facts which render any assembly an unlawful assembly intentionally joins that assembly, or continues in it, is said to be a member of an unlawful assembly. … Not every person is necessarily guilty but only those who share in the common object. The common object of the assembly must be one of the five objects mentioned in Section 141 IPC. Common object of the unlawful assembly can be gathered from the nature of the assembly, arms used by them and the behaviour of the assembly at or before scene of occurrence. It is an inference to be deduced from the facts and circumstances of each case. “10. Section 149 IPC has essentially two ingredients viz. (i) offence committed by any member of an unlawful assembly consisting of five or more members, and (ii) such offence must be committed in prosecution of the common object (under Section 141 IPC) of the assembly or members of that assembly knew to be likely to be committed in prosecution of the common object. 11. For “common object”, it is not necessary that there should be a prior concert in the sense of a meeting of the members of the unlawful assembly, the common object may form on the spur of the moment; it is enough if it is adopted by all the members and is shared by all of them. In order that the case may fall under the first part, the offence committed must be connected immediately with the common object of the unlawful assembly of which the accused were members. (Vide: Bhanwar Singh & Ors. v. State of M.P. (2008) 16 SCC 657 : (AIR 2009 SC 768). 12. Even if the offence committed is not in direct prosecution of the common object of the assembly, it may yet fall under the second part of Section 149 IPC if it can be held that the offence was such as the members knew was likely to be committed. The expression “know” does not mean a mere possibility, such as might or might not happen. For instance, it is a matter of common knowledge that if a body of persons go armed to take forcible possession of the land, it would be right to say that someone is likely to be killed and all the members of the unlawful assembly must be aware of that likelihood and would be guilty under the second part of Section 149 IPC. 88. It is well settled principle that “even if no overt act is imputed to a particular person, when the charge is under Section 149 IPC, the presence of the accused as part of an unlawful assembly is sufficient for conviction. The fact that the accused was a member of the unlawful assembly is sufficient to hold him guilty.” (See: State of U.P. vs. Dan Singh & Ors., (1997) 3 SCC 747; Yunis alias Kariya vs. State of M.P., (2003) 1 SCC 425)]. 94. It is, thus, well settled that in order to attract Section 149 IPC, it must be shown that the incriminating act was done to accomplish the common object of the unlawful assembly and further that it must be within the knowledge of other members of such assembly that such offence was likely to be committed in prosecution of the common object, such knowledge or awareness being pre-requisite for members of the assembly other than the one who actually commits the act to be held liable. Mere presence as part of the unlawful assembly, though with such knowledge as above, without any overt act is sufficient. If the evidence were to show that members of the unlawful assembly were armed and were openly indulging in acts of violence within the presence of those who may not have committed any specific overt act, inference of knowledge and being party to the common object may be drawn so as to attract the vicarious liability by invocation of Section 149 IPC. 95. Seen against the backdrop of the facts brought out in the present case, houses having been burnt all around, inflammable substances such as kerosene oil being used, persons being killed or injured indiscriminately and household articles being looted under duress, the persons who were indulging in such acts being in hundreds, if not thousands, a case of unlawful assembly being present and on the move from one place to the other has been proved and established. As is also seen from the evidence, police forces were trying to deter those indulging in violence to disperse including by use of force and police firing. Continuance in the unlawful assembly of such nature after such command to disperse itself was an offence under Section 145 IPC. Use of force or violence by such unlawful assembly, in prosecution of its common object, renders it a case of "rioting" defined by Section146 IPC, the punishment therefor being provided by Section 147, it being inconsequential if a member of such unlawful assembly had individually participated in the use of force or violence or not, in as much as it is the collective act of the unlawful assembly using force or violence which constitutes the offence of rioting on the part of "every member of such assembly". Rioting while armed with deadly weapon is an aggravated offence which attracts the enhanced punishment under Section 148 IPC. 99. The above has been the consistent approach on the subject over the years and for this reference may also be made to Banwari Ram & Ors. vs. State of U.P., (1998) 9 SCC 3 and Inder Singh & Ors. vs. State of Rajasthan, (2015) 2 SCC 734. 100. No doubt, the first informant (PW-2) is not able to identify any of the perpetrators of the mob violence to which he was a witness. His family having gone missing, his house having been burnt out, he being constrained to take shelter in a partly damaged house of someone else throughout the night, till his rescue by the police, he was, in fact, in no position – mentally, physically, emotionally or psychologically – to immediately identify any of the perpetrators. Be that as it may, since he was inclined to assist, it was the duty of the investigating agency to avail of his assistance and pin down accountability on individuals who he may have seen to be indulging in specific acts of violence or mischief. But then, given the nature of charges which were framed in the present case, his evidence should suffice for bringing home the large scale violence, particularly arson leading to several houses being torched. “50. Extraordinary situations demand extraordinary remedies. While dealing with an unprecedented case, the Court has to innovate the law and may also pass an unconventional order keeping in mind that an extraordinary fact situation requires extraordinary measures. In B.P. Achala Anand v. S. Appi Reddy [(2005) 3 SCC 313 : AIR 2005 SC 986] this Court observed: (SCC p. 318, para 1) “1. Unusual fact situation posing issues for resolution is an opportunity for innovation. Law, as administered by courts, transforms into justice.” Thus, it is evident that while deciding the case, the court has to bear in mind the peculiar facts, if so exist, in a given case”. 102. The presence of the appellants at the scene of riots is affirmed by PW-8 and PW-7, duly supported by the testimony of PW-5. It may be that PW-7 (SHO) had come under a cloud but the allegations against him in the disciplinary action to which he appears to have been subjected to by his controlling authority related to dereliction of duty in controlling the riotous conditions and failure to take timely or effective steps in such regard including by prompt reporting to the superior authorities in the hierarchy. He was placed under suspension on the night of 2nd & 3rd November, 1984. At the time of apprehension of the appellants leading to their arrests, however, he was on duty as a public servant, there being no reason to doubt as to his presence in the vicinity of block no.32 where the apprehended accused were brought and from where they were taken to police station. There is also no reason to disbelieve PW-5 and PW-8 as to their presence, similarly placed police personnel posted in the local police station, the voluminous record prepared contemporaneously corroborating they being on duty. 103. The apprehension of the appellants from amongst the rioters who were members of the mob which was moving from one place to the other, at times pursued or chased by the police or paramilitary forces, leading to their formal arrests in the late evening hours of 2.11.1984 from the riot-affected localities of block no.32, where almost all houses had been rampaged, pillaged, damaged, destroyed or torched, has been consistently testified to by PW-8, PW-7 and PW-5, such evidence being supported by the personal search memos (Ex.PW8/C-1 to PW8/C-107). It may be that the narration of events by these witnesses is not in identical phraseology. But then, had it been so, it would have been unnatural. 104. The basic features of the incidents have been similarly described by the above mentioned witnesses. Given the extraordinary situation that prevailed, this must suffice. It may be that these witnesses were not able to identify any of the accused by name at the trial. It also does appear that these witnesses were unable to specify the order in which the arrests were made. Non-preservation of the loose sheets of papers on which the particulars of the arrestees may have been noted down is of no consequence. Given the extraordinary situation that prevailed, the law and order machinery having all but broken down, the police personnel being not sufficient in numbers to match the challenge posed by large number of miscreants forming the unlawful assembly, the focus of the police officials being more on bringing the situation under control, and (assumably) to render help or assistance to such victims as could be shifted to safety or taken for medical aid, it being impossible for an individual to memorize the facial features of the arrestees so that the same could be connected to specific names or particulars when called upon to testify before the criminal court – especially when the occasion to do so would come more than a decade after the occurrences – such inability of the witnesses cannot result in the evidence about apprehension of the appellants being doubted. 105. The appellants, in their statements under Section 313 Cr.P.C., did not deny the evidence about the date and time of the arrests, their only plea being that they were picked up from elsewhere or from the public way. No evidence worth the name in support of the plea of they being picked up from place(s) other than block No.32 has been adduced by any of these appellants. In absence of any material to the contrary, the evidence of the prosecution about the arrests having been effected from the riot affected area of block no.32 sometime after 7:45 p.m. till around 11:00 p.m. on 02.11.1984 cannot be disbelieved. 106. In the given facts and circumstances, the mechanical test of Masalati (supra) also stands satisfied, inasmuch as evidence of PW-8 finds sufficient corroboration from the testimony of PW-5 and PW-7 as indeed the record of arrests of the appellants contemporaneously prepared. Since the documents relating to arrests were prepared contemporaneously, the fact of arrests on the date and time indicated in the earliest police proceedings not having been challenged, such apprehension being confirmed by further evidence about these appellants being taken for remand proceedings before the magistrate on the next date, it must be held as proved by the prosecution that the appellants were amongst those who were arrested against the above backdrop on the stated date and time. [Sherey (supra)]. 107. At the cost of repetition, one may say again that the areas from which the appellants were apprehended were one of the worst effected in the riots. Almost all houses in the vicinity had been subjected to arson. The household articles of such riot-affected homes were found scattered on public roads and in lanes. A large number of motor vehicles were found abandoned on roads they having been set on fire. The properties which were damaged by fire included religious places, shops or hutments. Even while the local police – which included PW-5, PW-7 and PW-8 – assisted by reinforcements (later joined by paramilitary forces) were trying to bring the situation under control, the riotous mob was moving almost with impunity. The evidence has shown unmistakably that curfew and prohibitory orders had already been promulgated. After such prohibitory orders had come into force, no public person was entitled to be outside his home, not the least so as to be a part of riotous unlawful assembly. If a public person was found to be outside his home in such circumstances, onus would be on him to explain or justify the reasons for his presence at such a place. 108. As noted above, the evidence has clearly brought home the case for prosecution that the appellants were outside – part of the mobs which were rioting. They having come up with no reason or explanation for such presence at such place at such point of time, their guilt for disobedience of prohibitory order lawfully promulgated by the Commissioner of Police within the mischief of penal provision contained in Section 188 IPC has been proved. 109. As concluded above, the presence of the appellants amongst the riotous mob has been proved. They have not come with any explanation for such presence. It cannot be assumed, without such plea being taken, that they were idle spectators. The object of unlawful assembly having come to their knowledge their continued presence renders them party to its common object. The said assembly having indulged in setting houses on fire pursuant to such common object, charge of rioting has also been proved. Using inflammable materials (deadly weapons) to set houses on fire amounted to offence under Section 148 IPC for which charge had been framed. But, for reasons which are not clear the trial Judge has returned conviction only under Section 147 IPC. There being no appeal by the State, this court feels it would not be proper to convert the conviction for one under Section 147 to Section 148 IPC at this stage. 110. With riots of such magnitude being underway, it called for no imagination for a member of such unlawful assembly to know that its object was to commit offenses, such offences clearly including damaging the houses by setting them on fire. It is not a case where a person who was member of the unlawful assembly could not imagine as to what offences were “likely” to be committed. The offence of mischief by fire was being indulged in from house to house, from one locality to the other, in clear view of everyone who was present at the scene. Given the brazen manner in which arson was being committed, awareness that mischief by fire would be the probable and natural result of the acts intended to be committed has to be imputed to each members of the unlawful assembly. In these circumstances, knowledge about the object of the unlawful assembly will have to be imputed to everyone including the appellants who were part of the riotous mob. 111. Since the evidence unmistakably shows that the appellants were members of the unlawful assembly, the common object whereof was to commit offences that included offences of mischief by fire, having regard to the magnitude of the damage that was openly caused to a large number of houses of Sikhs in the concerned area of Trilok Puri, there was no need for the prosecution to prove any overt act on the part of any of them. Non-recovery of the weapon of such offence is of no consequence. As has been explained by the witnesses, the appellants were apprehended after pursuit and it was highly unlikely that they would continue wielding the weapons (inflammable materials) in their hands till being over-powered. Their accountability for offence under Section 436 IPC is brought home by the rule of vicarious criminal liability under Section 149 IPC. 112. The trial Judge, while framing charge, had taken care to invoke the penal clause of Section 149 IPC with the offence under Section 436 IPC. It does appear that in the final determination, while convicting the appellants also under Section 436 IPC, reference to Section 149 IPC came to be omitted. This appears to be an inadvertent lapse. It cannot, however, detract from the tone and tenor of the judgment of the trial court that the conviction of these appellants for offence under Section 436 IPC has been recorded with the aid and assistance of Section 149 IPC. 113. On the foregoing facts, and in the circumstances, the judgment of the trial court returning finding of guilty convicting the appellants must be upheld. Ordered accordingly. 114. Though, having regard to the extensive damage that was caused by the appellants to a large number of houses or other properties of Sikh community by fire, the case merited punishment more severe than the one meted out by the trial court, given the fact that there is no appeal seeking enhancement of the punishment, the trial court having taken a lenient view, there is no occasion for this court to modify the order on sentence either way. 115. The appeals are thus dismissed. The bail bonds of the appellants are cancelled. They are directed to forthwith surrender to undergo the punishment awarded against them. The trial court is directed to take all necessary measures, including issuance of requisite processes to ensure due enforcement and execution of the sentences in accordance with law. The Commissioner of Police and officers or agencies under his control shall render all assistance to the trial court in this duty. 116. For compliance, copies of the judgment shall be sent to all concerned by the registry. 117. Before parting, however, this court deems it necessary and proper to make certain further observations on two particular aspects –one concern stemming from reasons to believe that certain part of the facts noted or gathered by the investigating agency in the wake of FIR No.426/1984 of Police Station Kalyanpuri may have remained uncovered; the second respecting the inadequacy of the criminal law procedure to deal with crimes of such magnitude and the utmost need for reforms in this regard to be ushered in. 118. As mentioned earlier, the two charge sheets which were presented initially indicated that during the police proceedings in the wake of registration of FIR No.426/1984 ninety-five dead bodies, all unmistakably cases of homicidal deaths, had been collected and brought to the police station till late night of 02.11.1984. As also mentioned, along with the said two charge sheets, a large number of documents including more than one hundred death reports and quite a few autopsy reports of some of the dead bodies had been submitted as part of the material upon which the prosecution intended to rely. Again, as noted earlier, in the initial charge sheets, the prosecution had sought trial of those arrested also for the offences under Section 302 IPC with the aid of Section 149 IPC. Since the order of cognizance would not say to the contrary, it has been inferred that cognizance was accordingly taken on such initial charge-sheets including for the offences under Section 302 IPC. When the trial Judge found it necessary to direct splitting up of the charge sheets – incident wise – and gave certain directions by order dated 08.09.1995 – the prosecution chose to come up with the supplementary charge sheets, one of which resulted in the judgment that was impugned by the present appeals, other supplementary charge sheets – more than fifty in number – having statedly led to prosecutions of different sets of accused vis-à-vis specific incidents. 119. But, as has already been noted, from the oral submissions of the prosecution made in answer to the court queries, such other prosecutions arising out of the same FIR have covered the cases of only seventy-three homicidal deaths. Most of the death reports (or autopsy reports), which have continued to be lying as part of the trial court record of the case from which these appeals arise, were of unclaimed (or unidentified) dead bodies. Going by the total number of ninety-five (95), such dead bodies having been gathered during the night of 02/03.11.1984, to which reference was made in context of FIR No.426/1984, it is likely that twenty-two homicidal deaths may not have seen any criminal action initiated against anyone till date. Since the documents in the nature of death reports, and autopsy reports, of quite a large number of them continue to be part of the record of this case, one assumes that no agency till date has taken pains to examine if any criminal action on basis of such material, and the evidence in their regard which may possibly be available elsewhere (including the statements of a large number of persons which were reflected in the first two charge sheets) may be required to be undertaken. 120. In the foregoing facts and circumstances, this court directs the Commissioner of Police, Delhi to have the material, and the evidence, in above nature, re-examined by an appropriate agency for such further action under the criminal law as may be requisite. 121. A copy of this judgment with specific reference to the above direction shall be additionally sent to the Commissioner of Police. 122. The case at hand, as observed elsewhere in this judgment, may be treated as a paradigm which ought not be followed in cases of such nature. The law and order machinery had broken down. The police forces, and the civil administration, did not take timely or effective action to prevent the riotous conditions from spiraling out of hand. The criminal law process began, but hesitatingly and belatedly. The fact that these cases have continued to linger in the courts at the stage of trial or appeals or revisions till date itself is an indicator of the reality that the response of the law has been tardy, ineffective and highly unsatisfactory. 123. In the wake of case FIR No.426/1984, one hundred and seven persons had been apprehended. The local police did not have the capacity to even keep them in proper custody as a large number of arrestees were kept overnight in the verandah or courtyard of the police station. The remand proceedings before the magistrate were conducted with the accused persons being confined in vehicles stationed outside the court complex. Such difficulties during the period of riots may have been for reasons beyond the control of everyone. But, when the charge sheets had been filed, the committal court did not have the capacity, or the wherewithal, to conduct the proceedings. As is reflected by the record of the trial court, the proceedings post committal of the cases were also difficult to handle. The trial Judge was at a loss as to how to make a head count on each date of hearing. Taking of attendance of such large number of accused itself was not only time consuming but also unwieldy. 124. The criminal procedure, as applies generally, mandates that the proceedings take place in the presence of the accused. This fair justice principle of law is abused, more often than not, to cause delay. The truancy is often seen being used as a tool to get the trial process postponed. In cases of such nature as at hand wherein accused persons sent up for trial were in such large number, it is easy to use the device of truancy. On each date of hearing, some or other accused would remain absent leading to deferment. The whole process consequently gets reduced to a mockery. The result obviously is what the pace of progress in the present case has demonstrated. 125. On the criminal prosecution initiated through the charge sheets which had been submitted in December 1985, the question of charge could not come up for consideration till December 1995. The trial Judge, when he set about the task of consideration for framing of charge, found, upon the prosecution itself advising him to this effect, that the case as presented ten years earlier suffered from the defect of mis-joinder (of charges and accused). The charges were eventually framed, after splitting up of the cases, in January 1996. Clearly, the investigating agency, and the prosecution agency had had no co-ordination between themselves. The fact that the initial two charge sheets presented in December, 1985 were prepared, also under the advice of the prosecution branch, shows that the quality of the legal assistance availed of by the State was questionable. 126. As mentioned elsewhere in this judgment, the spectre of communal riots has been raising its ugly head in various parts of the country at regular intervals and from time to time. The general criminal law is provenly ill-equipped to deal with the challenge of such crimes of mammoth proportion, particularly when they invariably are perceived to be engineered by those holding control over certain power centers. 127. At the cost of repetition, it needs to be noted again that after each event of communal riots, allegations of political influences having worked as the root cause or for protection of those responsible have surfaced. There perhaps can be no two opinions about the fact that a sense of neutrality in the investigative and prosecution process has to be injected. And, towards this end, the possibility of entrusting such tasks to authorities other than normal agencies of the State needs to be explored. 128. Quite often, in cases affecting large sections of society through crimes committed by influential persons, the courts – High Courts or Supreme Court - have felt constrained to set up Special Investigating Teams (SITs) which carry out probe under their supervision. Since such courts are eventually called upon to subject the evidence to scrutiny and adjudicate upon the guilt, recourse to this approach may not always be desirable. 129. The experience also shows that after such events Commissions of Inquiry are generally set up, the purpose whereof is to gather evidence and probe the causes that led to breakdown of law and order. Such Commissions invariably are headed by retired Judges of the Supreme Court or High Courts. But, the establishment of such Commissions, and commencing of work by them, takes some time. During the interregnum, however, the crucial evidence comes to be lost or destroyed. The reports of various Commissions of Inquiry also reveal that the victims or witnesses of such riots are generally petrified or silenced by intimidatory tactics and consequently feel disinclined to come forward with their complaints, or testimonies, till some measures are undertaken to afford protection to them. 130. Pursuant to the Protection of Human Rights Act, 1993, Human Rights Commissions stand established and are in position at State and National level. Though the objective of setting up of such Human Rights Commissions is a little distinct, it cannot be lost sight of that such Commissions are generally seen swinging into action without much delay in cases of communal riots. They also have the advantage of the investigative apparatus available to them at all times. 131. One wonders if the initial task of gathering evidence or, to put it conversely, the duty to “preserve” evidence can be entrusted to the Human Rights Commissions, in cases of communal riot situations. Once a Commission of Inquiry is instituted, under the Commission of Inquiry Act, 1952, further investigative process by gathering all evidence for such cases can be taken over by such Commissions of Inquiry. Given the non partisan and statutory status, as indeed the confidence of people at large enjoyed by these institutions, the possibility of vested interests negatively influencing the process of law would stand ruled out. 132. There have been initiatives taken in the past to bring in special legislation to cover the subject, this including in the form of Communal Violence (Prevention, Control and Rehabilitation of Victims) Bill, 2005 and lastly, as per the information available, Prevention of Communal and Targeted Violence (Access to Justice and Reparations) Bill, 2011 but the same have remained stuck at the stage of drafting. The court hopes and trusts that the legislature will consider enactment of a special law to deal with such crimes effectively at an early date. The court also hopes and trusts that as and when such special legislation is put in position, it would include provisions to arm the investigating and prosecution agencies, as indeed the criminal courts, with requisite powers, laying down special procedure and rules of evidence for fair, timely and effective dispensation of justice. 134. A copy of this judgment shall be sent by the registry also to Secretary (Law, Justice and Legislative Affairs), Government of India and to the Secretary, Law Commission of India, for their respective consideration. 135. There is no contest to the case for prosecution that the crimes alleged here were actually committed. Thirty four long years have passed after the crimes were committed and, yet, the victims await justice and closure. Is this what we call a potent and effective criminal justice system? Is our judicial apparatus at all equipped to deal with the crimes of such magnitude? Do we have lessons to be learnt from this sordid experiment in the name of criminal law process? It is indeed a matter of lament that there has been no meaningful thought spared till date to usher in reforms in the judicial process to effectively deal with the cases of communal riots which are engineered, more often than not, by those who have clout or influence– of various kind. The manner of prosecution of the case at hand would undoubtedly go-down in judicial history of this country as an example of criminal law process that must never be emulated. From this perspective, and in the expectation that those at the helm draw lessons from here, one hopes that this case is never forgotten.